The Suzuki Ignis sub-compact car was produced between 2000 and 2008 and was the successor of the popular Japanese car the Suzuki Swift. The Ignis has been known in different names over the years, depending on the market and manufacturing area. In Europe and Australasia, for example, the car was known as Suzuki Ignis while in Japan the car debuted with the badge Suzuki Swift. 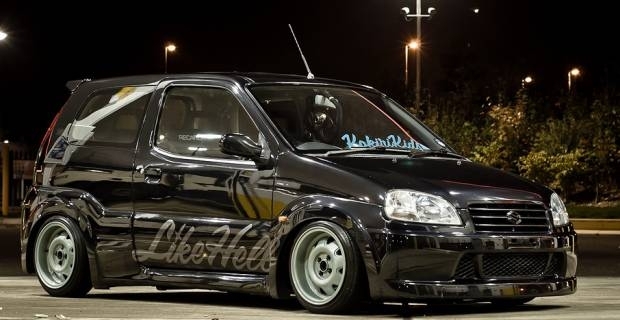 A modified version of the car was released in 2003 and dabbed the Suzuki Ignis Sport, also commonly referred as the 'Swift Sport' that still holds ground in the sub-compact market. The Suzuki Ignis had five-door and three-door versions with some of its standard features including power steering, engine immobilizer, CD player/radio stereo sound system, rear window wiper, multi-reflector headlamps, and storage compartments. The five-door versions of the Ingis had standard air conditioning and eight storage compartments. Other notable features for the five-door Ingis version included driver’s seat adjustment, central lock system with remote keyless entry, exterior mirrors and electric front window and roof rails. The three-door hatchback version had optional air conditioning, integrated five compartments, advanced suspension system, upgraded panels, lowered chassis and an enhanced braking package with anti-lock brake system. Curving side skirts, roof-mounted rear spoiler, deep bumpers and 15-inch aluminium alloy wheels also featured on the three-door hatchback. The Ingis 2000 has had several versions of engine, but manufactured models for export only featured a fuel-injected 1.3-litre engine with an 83 horse power rating. This engine was efficient in lowering fuel consumption and protecting the environment with its PVC system that cleaned up the combustion process. The 2003 Ingis Sport had a 1.5-litre engine with a 115 horse power engine rating. Standard version of the Ignis Sport come with a five-speed manual transmission, although the option for five-speed automatic transmission are also available. The Suzuki Ignis is not on the radar of many buyers in the UK. It actually is one of those once popular but now forgotten cars, which is a shame because the car still offers a good package in the sub-supermini market. It has genuinely comfortable seating for adults, roomy interior space and eager engine that gives reliability and good driving experience; albeit without the zest and refinement of some of its latest rivals. The heavily modified 2003 Ingis, however, is a more tempting prospect.